This update is coming a little late; it’s been a travel filled couple of weeks. We held Altheapalooza, a small conference in Portland featuring the Althea team and Graham from startyourownisp.com. The goal of Altheapalooza was to create video content about every detail of setting up an Althea network, from antenna selection to spectrum planning. This is also our first experience trying to teach all of this in a more formal setting rather than ad-hoc lessons in the field. 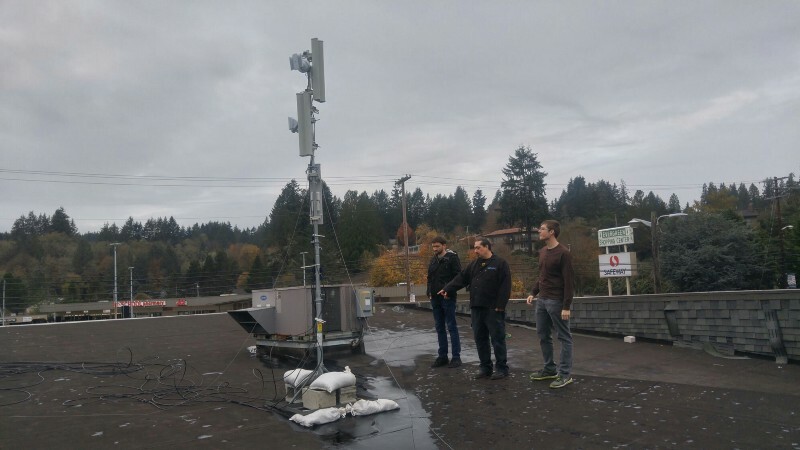 This was a great opportunity to get the team together, visit the network in Clatskanie and start to tackle one of the fundamental challenges of setting up an Althea network, can we effectively train people to setup real world wireless gear? Where on the sliding scale of a two day in person course all the way down to a 15 minute video clip do we need to be? Althea can automate every other part of the process, but point to point wireless gear is the only way to provide incumbent ISP competitive (and often superior) performance at a low cost. We need to be very effective at teaching people to use it. We’ll let you know how this experiment progresses and once the videos of Altheapalooza are ready. Visiting the tower in town, it’s not even fully extended yet! As expected once we started paying close attention to bandwidth payment amounts we found a few bugs. Now fixed in Alpha 11, rolling out over the next few days. As you may have noticed Aragon is live on mainnet, this changes our previous timeline. Which involved figuring out how to deploy Aragon ourselves. Right now we’re working on pretty minor integration issues, trying to get our Network DAO app and it’s assets to show up on the Aragon web interface. We have contacts on the Aragon team helping us out. Billing integration with the rest of the router functions, to provide more seamless payment.